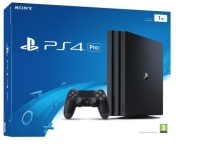 Sunday 21 Apr - Latest - Very, John Lewis and Amazon (£349.00) currently have stock of PS4 Console Pro 1TB Black. John Lewis (£349.95), Amazon (£349.00) and Very (£349.99) currently have stock of PlayStation 4 Pro Console with Red Dead Redemption 2. Very (£219.99), Argos (£219.99) and Amazon (£249.00) currently have stock of PS4 Console 500GB Black. We constantly check for PS4 Console stock, so you don't have to. Receive email alerts when PS4 Console online stock is found.